Right now, the Baltimore Ravens only have two offensive starters penciled in, Ronnie Stanley at left tackle and Marshal Yanda at right guard (assuming he is healthy by the start of the season). This leaves Alex Lewis, James Hurst, Matt Skura (UFA), and Nico Siragusa (4th rounder in 2017) for the 3 remaining spots. 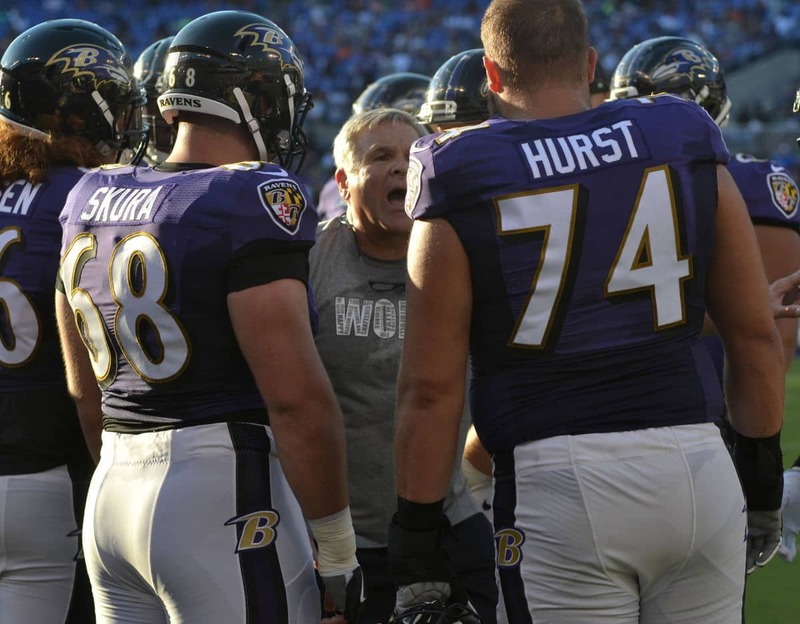 However, John Harbaugh stated at the conference that they presume Lewis will be the left guard (where he played very well in the 2016 season), Skura to lead the competition at center, and for Hurst to bounce out to right tackle. Now there is a lot of different ways this can end up working out. Alex Lewis played 3 different positions in his rookie year and definitely has a shot at any of those 3 spots. James Hurst has played all over the line and while he doesn’t really have the size for center he could play at either guard or tackle position (and theoretically put Yanda at right tackle?) but for sure the Ravens did not give him that new contract to be a backup. Skura is also a bit small to play center but that will be a spot to watch over training camp. Even still this leaves out Siragusa, Jermaine Eluemunor, and whoever the Ravens draft this year. I expect the Ravens to take at least one offensive lineman in the first four rounds (hopefully not Orland Brown). Also, the Ravens have been carrying a giant, who goes by the name of Stephane Nembot, on the practice squad for the past few years. 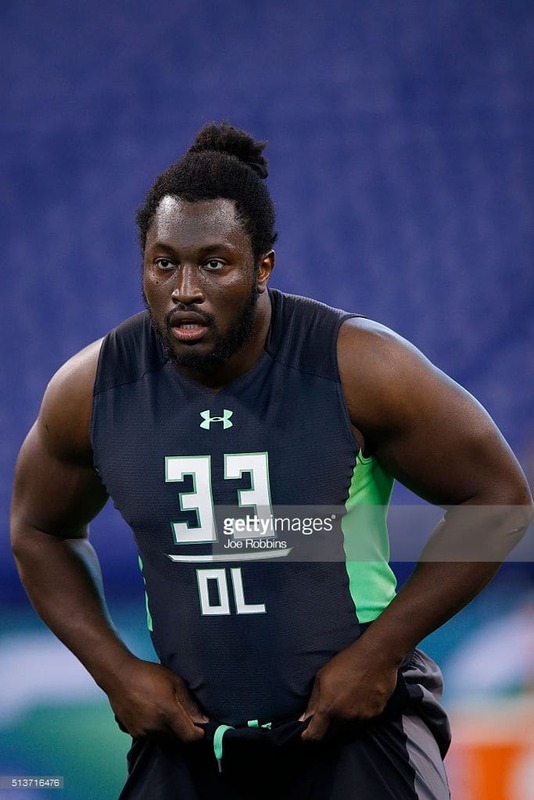 Seriously, this guy is the stuff of nightmares at 6-6 and 322 and has hands that could cover a face, I really hope that this is the year that he can see the field. The good news is that competition brings out people’s best efforts and having flexibility and depth are advantages. Joe D’Alessandris, the offensive line coach, did a great job last year taking an offensive line many people doubted (even before Lewis and Yanda got hurt) and turned them into a top ten unit. Though we will miss Ryan Jensen’s fiery attitude (I will never forget how he flattened Kiko Alonso after that dirty hit in the Dolphins game [I do not care what the NFL says, that hit was dirty]), the Ravens were never going to make him the highest paid center in history and we will see a nice compensation pick for him. And Austin Howard did not play well enough to save himself from the 3 million dollars the Ravens got in cap savings. We will see how this year’s offensive line works out, but I have high hopes for this one. 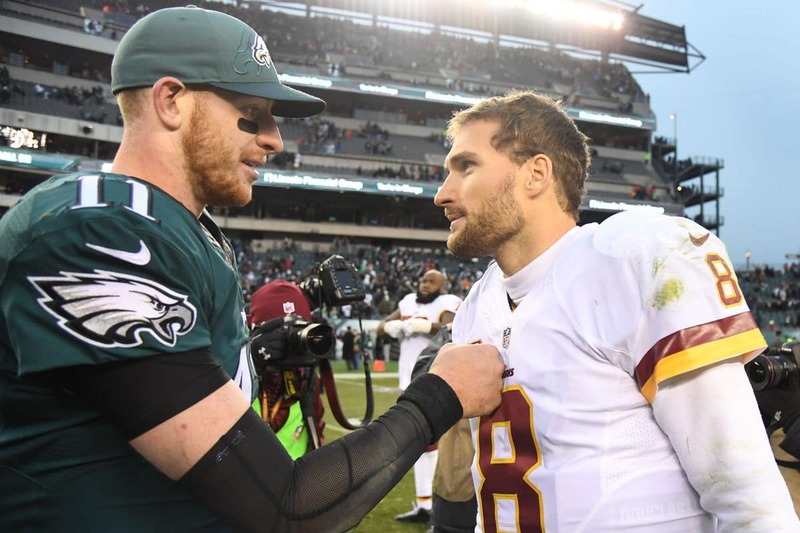 It will be crucial for them to keep lanes open in the running game and protect Joe Flacco in the passing game and then the Ravens might win a few more games. 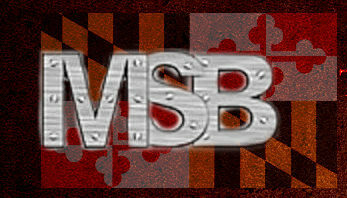 Born and raised in Baltimore Maryland now a Montgomery College student. Supporting the Ravens and Orioles since 1998. Also a West Wing Fan!